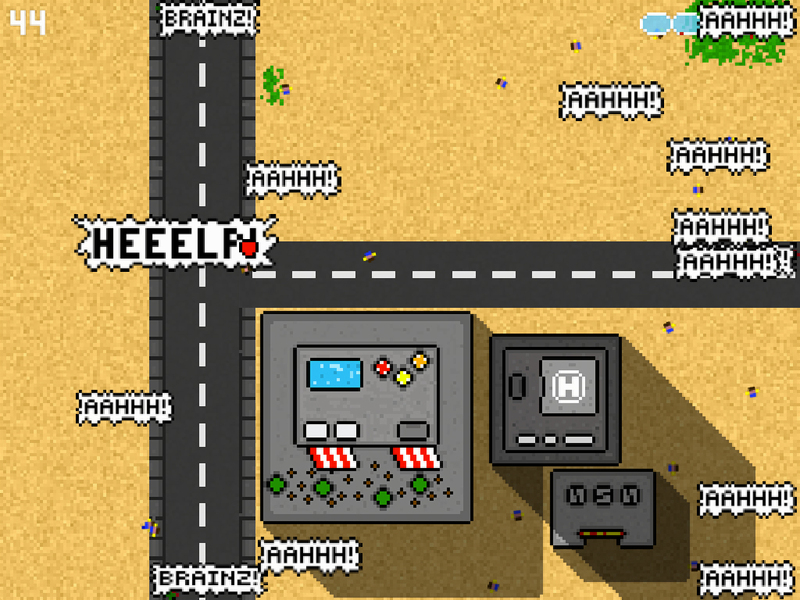 Today I wanna share my recently released iPad game with you: It's called "Crossroad Zombies" and is basically an arcade-highscore-action-zombie-survival-god-game mix with randomly generated level layouts, retro pixel graphics and 8bit sounds. I had no idea how to play the game. I still don't. 1) The game is too difficult to learn from a little experience and the tutorial is hard to understand. You'll want to have text explaining things. 2) The scene transitions are annoying. I get that you want them to look cool but they are long enough to where it's actively painful to sit through them, especially when you're watching the tutorial. That said, I like the graphics and it has lots of potential! I didn't know there was a tutorial because I guess I was too focused on the flashing text and zombies. i know, that the game a bit (?) hard at the beginning, but what i wanted to achieve is that there is a steep learning curve and you recognize more possibilities and mechanics each new game (for lets say the first 10-15 games or so). but what i read now makes me think, it is maybe too hard, hm? have to think about that again, i guess! @text: i wanted to implement text explanations, but i did not get how to check the language the device is set to. and making all text english only could be a problem, i thought. what do you think? @tutorial-button: maybe the button is just not visible enough in the startscreen? will think about that! @scene changes: really? ok, i really did not want them to be annoying! i will try to improve here as well! thanks again for your precious feedback! Glad to help. One way to solve the language problem is have the user tap on their language at the start of the first opening on the app. Alternatively, you could set it to English and then have an option to change that in options.